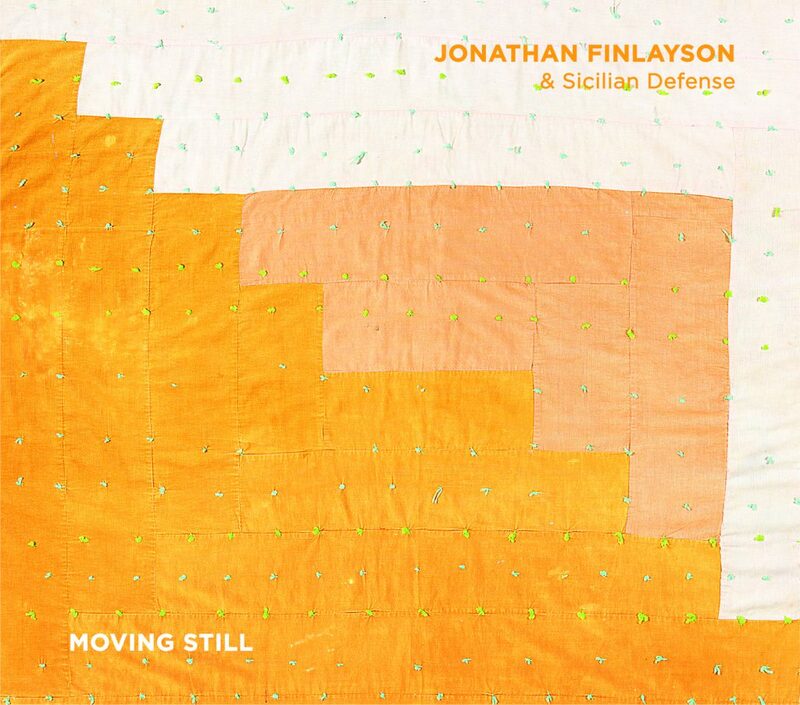 Moving Still is the eagerly-awaited follow-up to trumpeter Jonathan Finlayson’s Moment and the Message (Pi 2013), which was voted the “Top Album by a Debut Artist” in the 2013 NPR Jazz Critics Poll and proclaimed “intricate and alluring, melodic but daring, riveting and rare” by Popmatters. Well regarded among fellow musicians for his ability to negotiate complex musical material and his decidedly personal sound and improvisational style, Finlayson was named the “Number One Rising Star Trumpeter” in the 2014 Downbeat Critics Poll. He has been a member of alto saxophonist Steve Coleman’s Five Elements for over 15 years, while also playing regularly with the likes of such cutting-edge artists as Steve Lehman, Mary Halvorson, Muhal Richard Abrams and Henry Threadgill. Finlayson’s band, Sicilian Defense, is named after the popular chess opening counter move, and most of the composition titles on Moving Still are also allusions to some aspect of the game of chess, which he plays with great zeal. This latest iteration of the band includes guitarist Miles Okazaki, who is also a member of Steve Coleman’s Five Elements and with whom Finlayson has played with consistently for ten years. Trickster, his next release, will be out on Pi in 2017. Pianist Matt Mitchell (Tim Berne, Dave Douglas, Rudresh Mahanthappa, John Hollenbeck) has also released two of his albums on Pi. Finlayson has played alongside bassist John Hébert (Andrew Hill, Fred Hersch) for years, most recently in the bands of guitarist Mary Halvorson. And the young drummer Craig Weinrib, best known for tackling the challenges of Henry Threadgill’s music as a member of his Ensemble Double Up, a band that released the acclaimed Old Locks and Irregular Verbs earlier this year. Finlayson has been a professional musician for a decade and a half despite being only 34 years of age. It’s not uncommon for musicians years younger with far less experience to have multiple albums as leaders under their belt already yet Moving Still is just the second release under his own name. According to Okazaki: “You can’t rush Finlayson. He’s not concerned with expectations. He has confidence that his preparation will allow things to fall into place when the time is right. It has to do with timing and nuance, and allowing the story to reveal itself to those who are leaning in and paying attention.” Or as Steve Coleman puts it: “Jonathan was aware of the entire spectrum of this music from a young age and he’s always taken a panoramic view of what has come before. But for him its not about imitating the great players. He has the patience to find his own way and its important to him for his music to reflect his own personality and philosophy, to create his own style and sound. He has made a conscious choice to be on the cutting edge so that he continues to make an individual contribution to the continuum of this music.” The result is a daring work with a firm sense of purpose.